How do you get people to buy your book? Today, three of my books are in Amazon’s top 100 in their category (20th-century history). I’m prouder than lions to see them there, and I’m hungrier than jackals to get another book up the charts. But let me back up a moment and explain how this happened. When I say “my books,” I mean that I’m the publishing consultant on all three. The books really belong to the Future of Freedom Foundation, and the authors are Jacob Hornberger and Douglas Horne. Jacob, Douglas, and FFF are the mothers of these excellent books. I’m just the midwife. 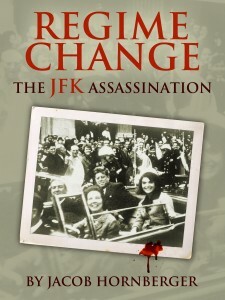 In the fall of 2014, I helped FFF put out their first two ebooks on the JFK assassination: The Kennedy Autopsy by Hornberger and JFK’s War by Horne. They both hit the top 100 before Christmas — in fact both books had started selling copies like hotcakes before we even officially announced or advertised them. So why are these books so successful? Why are people buying them? Well, take a minute to look at the three books and their Amazon rankings today. Even just judging by the titles, you can see that all three of these books are about a specific, concrete, visceral story — a story with murder, betrayal, and mystery. In fact, of those three, The Kennedy Autopsy has been by far the most consistently successful. (Today is the first day Regime Change ever beat Autopsy on the charts.) And notice that Autopsy also has by far the most concrete, specific, and visceral title and topic. I don’t think that’s a coincidence. Now, all three of these books are from the Future of Freedom Foundation, so you can rest assured there are some strong libertarian themes inside each book. 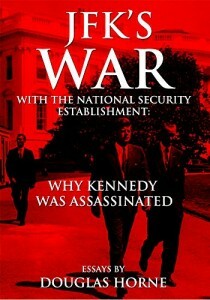 In particular, all three do a very compelling job of demonstrating that the Kennedy assassination is linked to the broader rise of the military-industrial complex. But libertarian theory isn’t the headline feature that made these books start selling before we even advertised them. 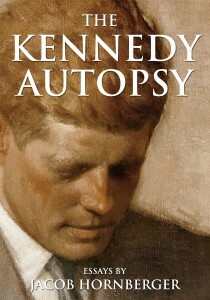 Would The Kennedy Autopsy have sold as well if we’d called it The Military-Industrial Complex and the Deep State’s Medical Cover-Up? I don’t think so. Instead, the books are focused on and advertised around specific stories. The libertarian principles flow through each book subtly, strengthening the authors’ research and and sharpening their narrative. In other words, for these books, libertarian theory isn’t the consumer good that people are rushing out to buy, it’s a capital good that authors used to make their specific stories. The stories themselves are what people want to buy. You may have noticed that Jeffrey Tucker also uses this formula of telling a specific story to illustrate a general theory. In his wildly successful article, “Five Years of Gas Can Hell!,” Tucker opens with 7 hilarious paragraphs about spilling gasoline — reeking, staining, flammable gasoline — all over himself. He waits until paragraph 8 before he even mentions “government,” but then he explains the theory of regulation and shows it all comes together. The libertarian theory explains the visceral experience. Jacob Hornberger does it this way in The Kennedy Autopsy too. He opens chapter 1 with Secret Service agents brandishing their guns and staring down the Dallas doctors over the corpse of the president. That’s a helluva hook. And Jacob waits until all the way to chapter 12 to come out explicitly with his killer libertarian analysis of the military-industrial complex. Once again, the libertarian theory explains the visceral experience. The readers know what they want. Mostly, they want stories. Our job is to help them realize that the best stories are made with liberty. Here at Invisible Order, we’ve been doing a lot of work for Liberty.me over the last 9 months. Now that the project has really come to fruition, here’s the Liberty.me bio interview of our own BK Marcus. Today we’re introducing B. K. Marcus, “Chief Bookworm” of Liberty.me. Our Library and Liberty Guides are made available to you all thanks to him and his colleagues at Invisible Order.